Cockney Accent - the use of yer and the fact that Noah is lower class indicates that his accent is probably Cockney. The 1948 version of the movie and the clip of a musical (see video on right starting at 1:00) confirms that. Use of “your” versus “yer,” a perversion of the proper "your" that is used to depict lower class characters. Longer sentences without exclamatory punctuation. In other words, Mr. Brownlow's education allows him a more thorough and eloquent expression of self. Examples of a stereotypical Jewish accent can be found here. "I think I'd rather read them sir." Oliver pronounces the word 'sir' as 'suh' and 'more' as 'moh'. Characterized by the non-rhoticity where the 'r" at the end of the word is not pronounced. "That's acause they damped the straw afore they lit it in the chimbley to make 'em come down agin," said Gamfield; "that's all smoke, and no blaze; vereas smoke ain't o' no use at all in making a boy come down, for it only sinds him to sleep, and that's wot he likes. Boys is wery obstinit, and wery lazy, gen'lmen, and there's nothink like a good hot blaze to make 'em come down vith a run. It's humane too, gen'lmen, acause, even if they've stuck in the chimbley, roasting their feet makes 'em struggle to hextricate theirselves." “I thieved for you when I was a child not half as old as this (pointing to Oliver). I have been in the same trade, and in the same service, for twelve years since; don’t you know it? Speak out! don't you know it?" She, more than any other manner of speech, displays the Queen’s English, also known as Received Pronunciation. 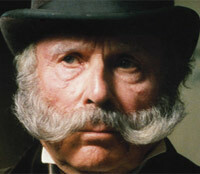 Quotes: "You may start by jappaning my trotter case. In plain English, clean my boots." "I am. Sos Charley. Sos Bet. So we all are, down to the dog. And hes the downiest one of the lot." Analysis: The Artful Dodger (whose real name is Jack Dawkins) uses numerous words and phrases used by criminals of that time. He acts and even dresses like an adult despite the fact that he is only 12 years old. Accent: Dodger has a strong Cockney accent. However, it is sometimes hard to understand what he is saying because of his frequent use of thieving slang. 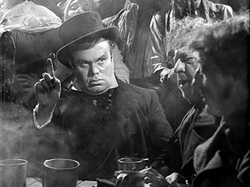 A bartender in the Three Cripples and one of Fagin's cohorts, Barney is identified as a "young Jew." The jewish accent sounds throaty; there is no distinct change of ‘m’ and ‘n’ s to ‘b’ and ‘d’ s in the jewish accent. Therefore, Barney probably has a speech impediment, which causes these distinct speaking patterns. His accent is most likely Cockney given his lower class surroundings. Quotes: "There's light enough for what I've got to do. ""Unless you could pitch over a file and twenty yards of good stout rope, you might as well be walking fifty mile off, or not walking at all, for all the good it would do me. Come on, and don't stand preaching there." Analysis: It is possible that Dickens based this character off of a criminal in the 1720's named James Sikes. Besides being brave and mostly honest, Bill Sikes has few redeeming qualities. 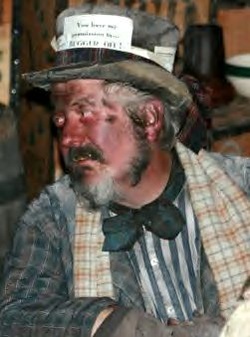 Accent: Sikes, like many other characters in the book has a Cockney accent, although it is somewhat less noticeable. This is most likely because he uses very short sentences.